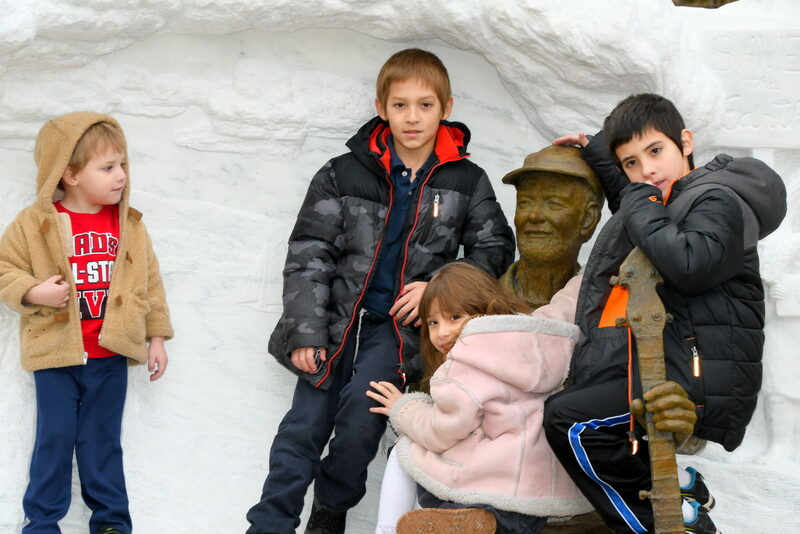 The public is invited to a weekend of festivities honoring Pete Seeger and the unveiling of the Puffin Foundation's statue honoring his life and work by renowned sculptor Gary Sussman. The Power of Song, was directed by Jim Brown and tells the story of Seeger’s life and music. The film won an Emmy award and was Executive Produced by Seeger’s wife Toshi Seeger. An audio story recording station will be available from 5-7pm if you would like to contribute your story of how Pete touched your life. 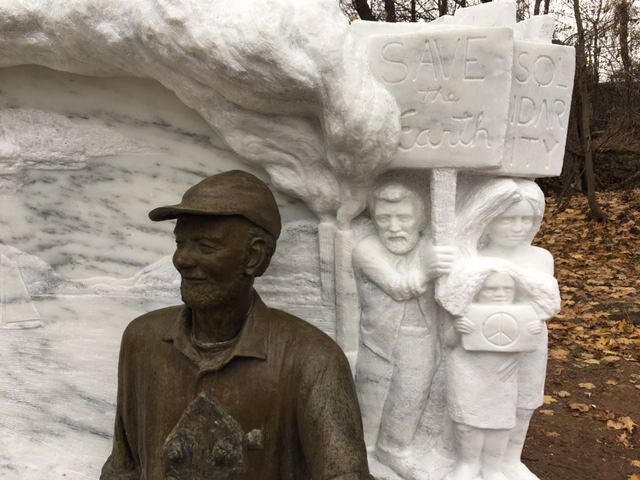 The creative process of sculptor Gary Sussman in creating the first sculpture of Pete Seeger is documented in this insightful documentary by filmmaker Christopher Lukas. Early sketches and models used by Gary Sussman will be on view along with the film. Film and display will be on view from May 4th to 31st in the Puffin Gallery foyer. 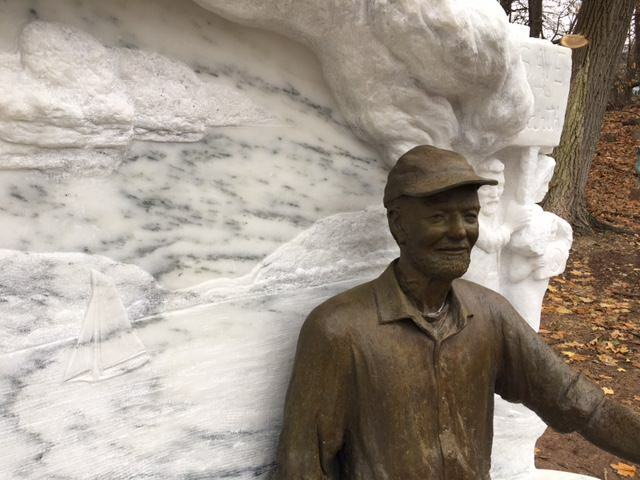 Join in the unveiling and opening of the finalized statue of Pete Seeger in the Puffin Sculpture Garden. 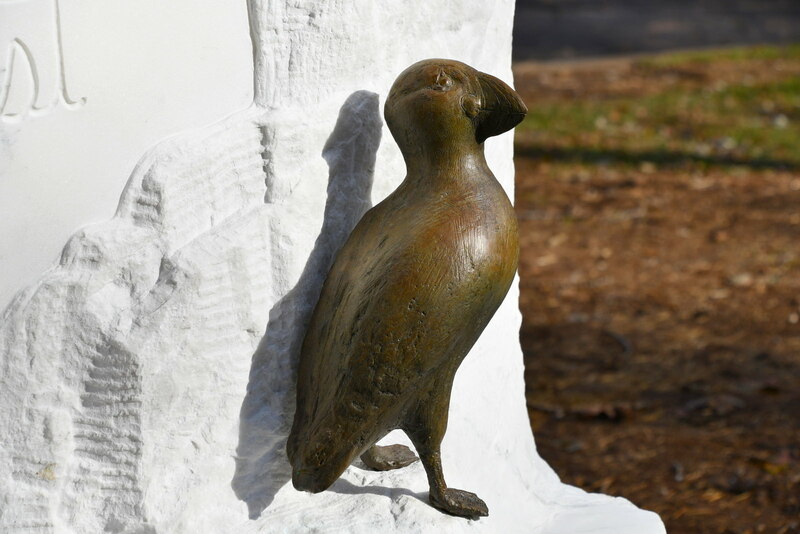 Remarks will be given by the Puffin Foundation, sculptor Gary Sussman who will be in attendance to present the sculpture. Opening also features music from folk artists Jacob and David Bernz from Beacon, NY. 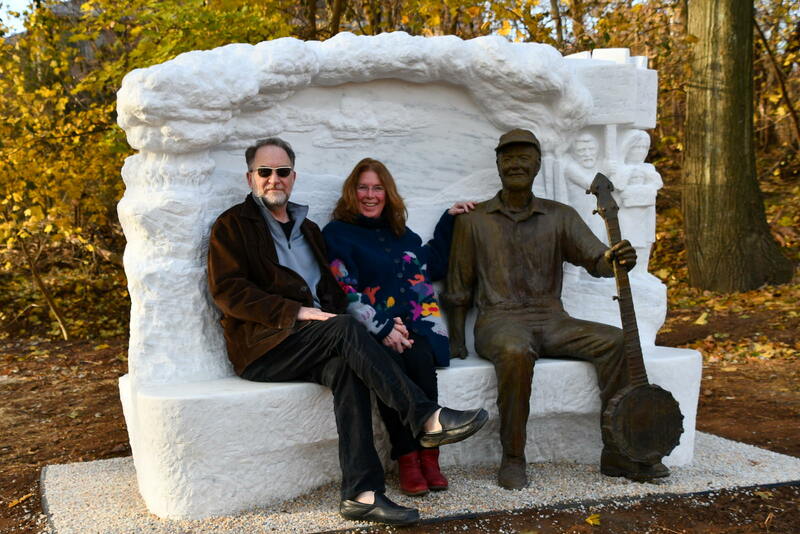 Artist and sculptor Gary Sussman will lead an educational presentation and workshop about the three-year process of creating the Pete Seeger statute. 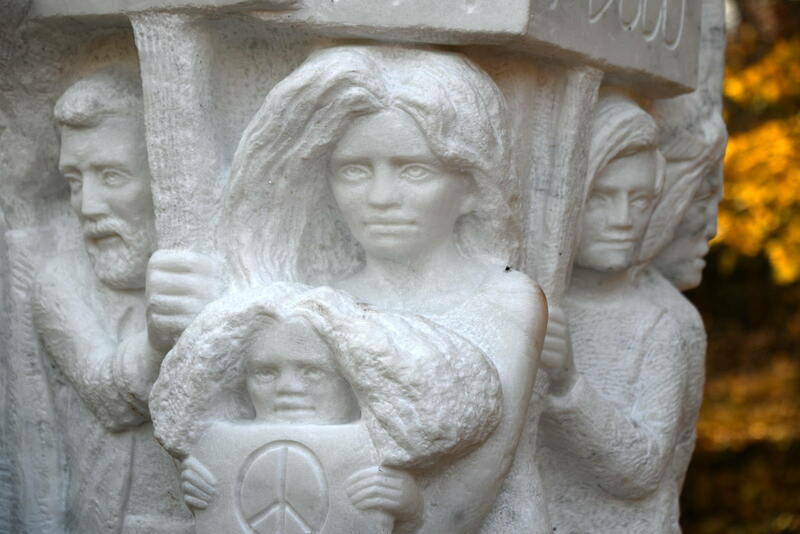 Participants will learn about the artistic process and have an opportunity to get hands on experience with real marble. The Puffin Outdoor Stage will be open and available to performers from all genres. If you are interested in signing up for stage time, please submit your performance proposal to perform@puffinculturalforum.org, or call 201-836-3499. We’relooking for performances that relate with Pete Seeger and his legacy of activism! Submissions of spoken word, poetry, dance, music, theater, etc., are all welcome! The Puffin Cultural Forum is proud to present Grammy winning singer/songwriter, Hudson Valley Troubadour, and activist Tom Chapin. Described by NYT as “one of the great personalities in contemporary folk music.” His prolific career brims with achievements from performing, writing songs on celebrated stages to being a vocal advocate for social causes. Tom last performed with Pete Seeger in 2013 at the Towne Crier Cafe to celebrate the 65th anniversary of the creation of the Weavers. Kristen Graves is a singer/songwriter, described as “the new generation of folk” by Kitama Cahill-Jackson in the NYT. Bring your singing chops to the concert as Kristen presents her rendition of some of Seeger’s beloved songs and leads us in a sing-along. Known for her activism, humanitarian efforts, and her music, Kristen has graced the stage with Pete Seeger, Harry Belafonte, Peter Yarrow, Holly Near, Guy Davis, and many other folk greats of our time. 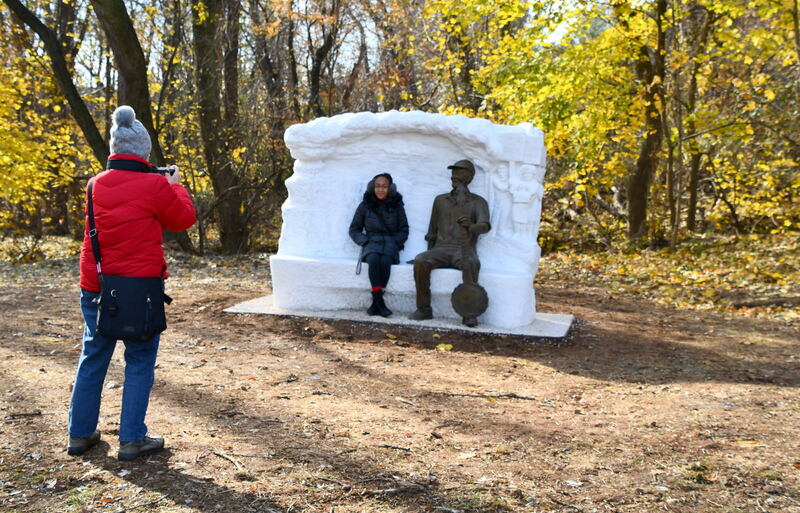 Sculptor Gary Sussman with his wife Barbara.